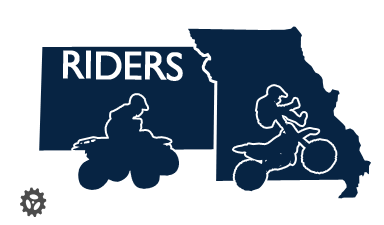 Hello im from around the northwest MO area i ride a 125kx and a 250yz. I am making the transition from street to dirt. I will be ready to hit some places to ride around KC this Spring. Are there any good public tracks around? I know there use to be one in Grain Valley. Is it still active? i live in st. joseph and im eager to go riding when it warms a little 40-50 degrees im good to go muddy or not im ready i tend to use ice screws in my tires so even if it is frozen ground thats cool to. supposed to be in the 40's on Saturday. i too would ike to know if the GV track is public if anyone finds out let me know. I'm in Olathe, and try to go out every Saturday. Weather permitting. I'd love to find some new places to ride. We usually end up at Merwin, or Carbondale (just south of Topeka). Both places cost $10 to ride for the day, but they're much better than Perry Lake. I'm going to try to get out to Finger Lakes & Milford a lot more this year. I am looking around for maybe a CR125 or YZ125, something fairly small that I can pack around easy. I would give it a good beating and it would give my friends something to ride too. xl1200 wrote: I am making the transition from street to dirt. I will be ready to hit some places to ride around KC this Spring. Are there any good public tracks around? I know there use to be one in Grain Valley. Is it still active? There is nice track in kingsvillle. If your in KC go East on Hwy 50 to W. hwy, South on W. 4 miles to the track. Let me know if you want to go some time. I would be glad to. I think my cousin & I are headed to Finger Lakes on Saturday too. He called me today to say that the track will be prepped for this weekend. We're planning on leaving Olathe around 8, we'll be out there around 10:30. If you see a YZ 250F & TTR 250, that's us. I ride with a couple guys that ride 250s, we've rode deepwater, finger lakes,perry etc. I'm wanting to know of places closer to kc, such as drexel or any other spots. Weve been ridin usually if it gets nice out and would love some company!! Just found the site,LMK guys!! How would i get to the drexel track from kc? Midwest Extreme Park -- From 71 Hwy: Exit Adrian Mo. Go West 18 miles to Merwin, MO., cross RR tracks, track is on Right. Here's the website, Midwest Extreme Park is the one in Merwin (by Drexel), the other one is out in Kingsville. bikejunkie wrote: I'm in Olathe, and try to go out every Saturday. Weather permitting. I'd love to find some new places to ride. We usually end up at Merwin, or Carbondale (just south of Topeka). Both places cost $10 to ride for the day, but they're much better than Perry Lake. I'm going to try to get out to Finger Lakes & Milford a lot more this year. .....I thought they closed down the trails at Milford. I haven't been there in 20 years. Have you ever ridden at Tuttle Creek over in Manhatten? A good weekend trip is Chadwick if you like to ride trails. I crashed there last fall and took me a few months to recover, I am ready to go again though. I ride a KDX200. Yeah the trails are open at Milford as far as I know, unless something happened in the last few months. I haven't made it out there yet though. Never made my way out to Tuttle Creek either. My cousin has been there and wasn't a big fan. I love to ride trails, that's pretty much all I do. Went to Chadwick for the first time last year. Had a blast! Took me a few hours to warm up to the rocks, but definitely had fun with the difficulty of the trails. That place will make you a better rider pretty quickly. I've always wanted a KDX 200 or 220...I have a TTR 250 & KX 125 right now. You should check out the place in Carbondale if you haven't yet for a good day trip. You'd have a blast on the KDX.